A tattoo is the form of body art which people use to beautify their scars or sometimes even to hide it. Every culture and every country has its own type of tattoo and in this article, we will be talking about Maori tattoo which is a tattoo for the Indigenous people that originated in New Zealand the Maori have a special type of body art known as Moko and is commonly referred as Maori tattoo. Maori tattoo is a symbol of rank, social status, power, and prestige. Do you want to show your body strength and biceps to the world? Sleeve Maori tattoo serves the purpose, this type of tattoo is drawn on arm forming a sleeve either full or half, starting from shoulder to elbows or wrist. Sleeve Maori tattoo mostly is preferred by men to enhance the bulge of their shoulder and is always drawn with black ink. Circle Maori Tattoo is always drawn in a circle, it was drawn with a sun inside it and is mostly demanded by men and in some cases by women. It is always drawn with a bold black ink and it can be drawn on any part of the body but is most preferred on the chest or shoulder by men and on the back by women. It is a type of Maori tattoo which is drawn on the leg, size of the tattoo can be big or small however you like it. It is drawn with black ink and is a masculine tattoo, and men get it inked mostly on their calves and sometimes it is drawn in the form of the band. Are you curious to know about a tattoo which is drawn on the arm and is a masculine tattoo? Here is a type of tattoo known as forearm Maori tattoo which draws on the forearm starting from wrist to elbow. The size of the tattoo can be big or small and is always inked with black color. It can also be drawn in the form of a band just before the elbow or it can also cover the entire forearm. Shoulder Maori Tattoo is one of the most attractive tattoos for men. It is drawn on the shoulder and is always drawn with black color. It is usually big in size and can be small in some cases. 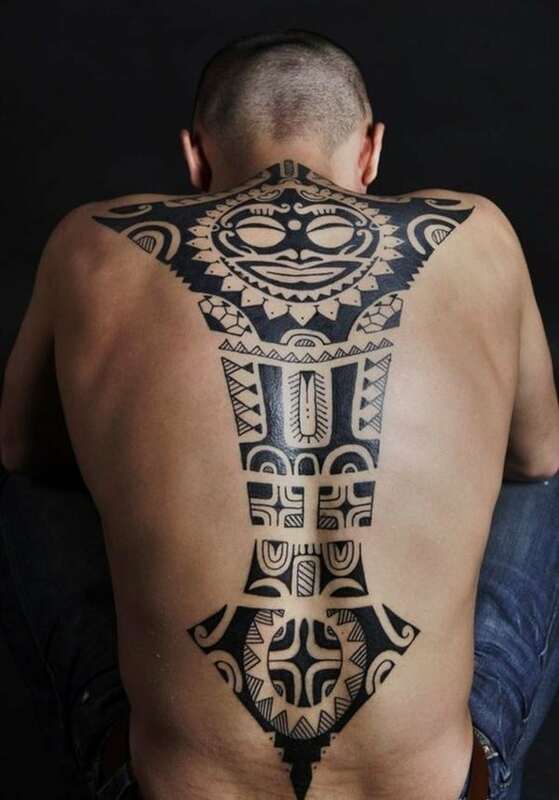 The tattoo can consist of any random thing drawn using the technique of Maori art. It is a type of a Maori tattoo which is drawn on the upper arm starting from elbows to shoulder. This type of tattoo is preferred by men and is always drawn with black ink. The size of the tattoo can be big or small depending on your personal choice. Bracelet Maori tattoo is a tattoo in which a bracelet is drawn on the forearm using the technique of Maori art. It is a common tattoo for both men and women and is always drawn with black color. Women prefer a small bracelet on the wrist and men prefer a big bracelet on the center of forearm or just before the elbow. It is one of the most demanded and personal tattoo for men. A Maori tattoo on chest is always big in size and colored black. Any random design can be drawn on the chest using Maori art. It is a type of a tattoo in which animal is drawn and is common for both men and women. Men usually prefer big Maori animal tattoo on arms and women prefer big Maori animal tattoo on back. It is always drawn with black ink. The biggest tattoo can be drawn on the back as it provides a lot of space and men and women both get big Maori tattoos on their back. Back Maori tattoo is always drawn and colored black. The size of the tattoo can also be small depending on how you like it. It is a type of ancient art with a lot of meanings and has a lot of designs based on different meaning associated with Polynesian culture. It is a tattoo for men only and is usually big in size. It can be drawn on any part of the body and is always colored and drawn with black ink. Maori arm tattoo is drawn on any part of the arm and is commonly demanded by men. The tattoo can be drawn on the shoulder or on the forearm in the form of a band. It is always drawn and colored with black color. A turtle Maori tattoo symbolizes health, fertility, longevity in life, foundation, peace and rest. It can be drawn on any part of the body and is common for both men and women. It is always inked in black color. In this tattoo, a turtle is drawn and the size of the turtle can be decided by you. This type of tattoo was originated in New Zealand and the New Zealand Maori tattoo can be drawn on any part of the body for both men and women. It is usually drawn with black ink and can consist of any design. Armband Tattoo is a tattoo which is drawn in the form of a band and Maori armband tattoo is drawn on the arm in the form of a band using Maori art. It can be drawn on the wrist, near the elbow or shoulders. It is a tattoo for men only and is drawn with black ink. Lion Maori tattoo Symbolizes Courage for the wearer. It is a tattoo for men and size of the tattoo can be decided by you. Lion Maori tattoo can be drawn on any part of the body and is drawn using black ink. Tiki Maori tattoo is the image of a wooden image of a human figure. This type of tattoo is common among men and can be drawn on any part of the body. It is always colored black and the size can be big or small both. It is a type of Maori tattoo in which the traditional technique of carving the skin is used to draw the tattoo. A tattoo can be drawn on any part of the body including face. It is commonly demanded by both men and women. The size of the tattoo can be big or small and it is always colored with black ink. Maori shark tattoo is a symbol of power and great survival instincts. It is a tattoo preferred by men only and can be drawn on any part if the body. it is always drawn with black ink and the size can be b big or small depending on your choice but the details can be brought out in the big tattoo. A type of Maori tattoo which is drawn on the wrist in the form of a band or a normal tattoo. It is common for both men and women. Women prefer a small bracelet or a small tattoo on the wrist and men prefer big band or a big tattoo on the wrist. It is always colored black. Wolf Maori tattoo symbolizes tight family bonds. It is a type of tattoo commonly preferred by men and in some cases by women. It can be drawn on any part of the body and is always colored black. The Rock is one of the most famous WWE superstars whose tattoo is a very elaborative design and the people who are inspired by him get this type of tattoo inked. It is for men only and is always big in size and colored black. It is usually drawn on the arm covering the entire arm. Tribal tattoo makes the wearer look like a warrior which is exactly what tribal Maori tattoo does. It is one of the most demanded tattoos by men and can be drawn on any part of the body. It is mostly big in size and colored black. Maori tattoo which is drawn on the elbow and is in a form of a band. It is a masculine tattoo and is always drawn with black color. The size of the tattoo can be big or small depending on your choice. It is a type of Maori tattoo which is demanded by women more than men. It is a tattoo which is drawn on the ankle and things like leaves, flowers or any random design can be drawn using Maori art. Women prefer small Maori tattoo on ankle and men prefer big Maori tattoo on an ankle and the tattoo is always colored black. Sun Maori Tattoo is a symbol of anthropomorphic and representation of our stars, it is a symbol of life. In this tattoo, a sun is drawn or the tattoo is drawn in the shape of the sun. It is preferred by men mostly and in some cases by women, the size of the tattoo can vary. It is always drawn with black ink and can be drawn on any part of the body. This type of Maori tattoo is for women only a small Maori tattoo on the foot is a very good tattoo option. It can be big in size and is always drawn and colored with black. The size of the tattoo is your personal choice. Calf Maori tattoo is a type of a tattoo which is drawn on the calf and it for men. The size of the tattoo is mostly big covering the entire calf sometimes even entire leg. 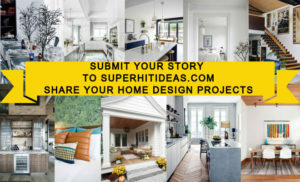 It is always drawn with black color and different images or designs can be drawn. Men and Women both prefer this type of tattoo; the tattoo can cover the entire neck or a part of it. Men usually get a big tattoo covering the entire neck and women usually get a small tattoo cover only a part of the neck. It is always drawn and colored in black. It is a type of a tattoo which is mostly preferred by women. The tattoo can consist of any abstract image or design. The size of the tattoo can be big or small and it is always drawn with black ink. Maori tattoo in which flowers are drawn. The Maori flower tattoo can be drawn on any part of the body by both men and women. It is always drawn with black color. The size of the tattoo can be big or small both. Owl Maori tattoo is a symbol of wisdom, knowledge, and transition. In this tattoo, an owl is drawn on any part of the body and is commonly preferred by men and in some cases by women. This type of tattoo is always drawn with black ink. It is a type of Maori tattoo which is permanently carved on the face. It is a very unique type of tattoo found by the people of New Zealand. The tattoo can either cover the entire face or apart on the face and it is drawn with black ink which is not very dark. It is a type of a Maori tattoo which is small in size. The small Maori tattoo can consist of flower, leaves or random designs and can be drawn on any part of the body by men and women both. It is always black in color. We hope we were able to help you answer your question regarding Maori tattoo if catches your interests then go and get it inked. Choose your favorite one from all the types and let us know which one did you like the most and which represents you. Previous article30 Choppy Bob Hairstyles – Try Something New & Trendy! Next article25 Blunt Bob Haircuts – Hairstyles that are Timeless with a Twist!